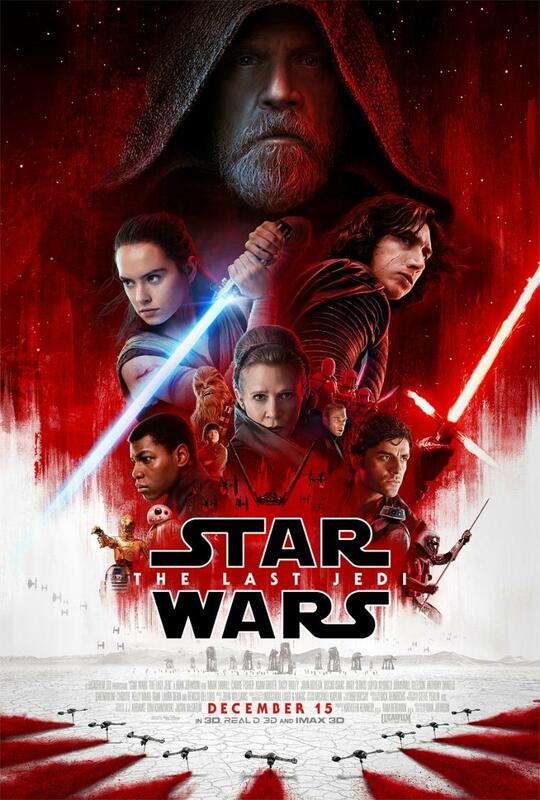 It’s been 3 days since STAR WARS: THE LAST JEDI opened in theatres, and 3 days since I saw it! This is a movie you’ve got to see within the first few days! Though there wasn’t anything I didn’t really expect, you’d still be really bummed if you heard about what happens and how it happens before you see it! STAR WARS IV: A NEW HOPE was released 40 years ago. I was 7, and this is what I remember about its opening. Leia’s hair, R2-D2, C-3PO, and Chewbacca. I also know I wasn’t allowed to see it or any of the following STAR WARS movies for that matter because we were Baptists then, and like good Baptists, you don’t go to movies. Plus, I seem to remember the “religious” community whining about the Force being “new agey” stuff. Whatevs. This is why I don’t call my faith a religion. It’s a relationship. Now we know better about STAR WARS. Don’t follow blindly. Find out for yourself. Just like Harry Potter! The fact that the “religious” community still doesn’t GET Harry Potter is one thing that makes me SO upset. They apparently GET The Lord of the Rings and The Chronicles of Narnia. Umm, hello. Have you read the books? Okay, I could literally go on and on about this, but I won’t. I don’t think of the force as being new agey at all. I think Christians can completely relate to the force as a spiritual battle between good and evil that exists in all of us. Darkness and light have been battling it out forever. Darkness and light continue to battle in STAR WARS: THE LAST JEDI. In THE FORCE AWAKENS, the Rebellion is searching for Luke Skywalker, and the end of the movie has Rey (Daisy Ridley) finding him living a secluded life on Ahch-To where the first Jedi Temple is located. Rey wants Luke to train her as a Jedi, but Luke sees himself as a failure because of Ben Solo’s failed training. He blames himself for not seeing the darkness soon enough to stop him from joining the dark side. Rey refuses to leave him though since she feels the force within herself, and she doesn’t know how to control it. I love the scenes on the island most of all. 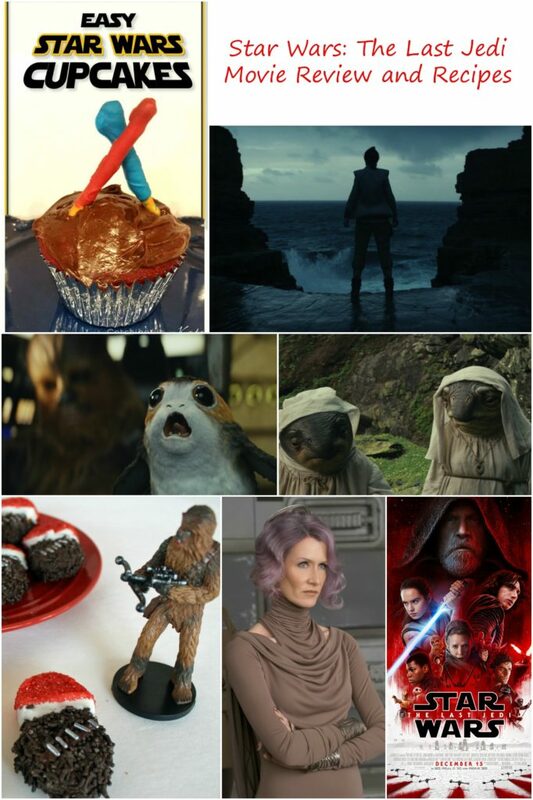 For one thing, PORGS! I am sad that I can’t have a porg. They are these adorable little birdlike creatures who refuse to leave Chewy alone. Then there are the Caretakers. 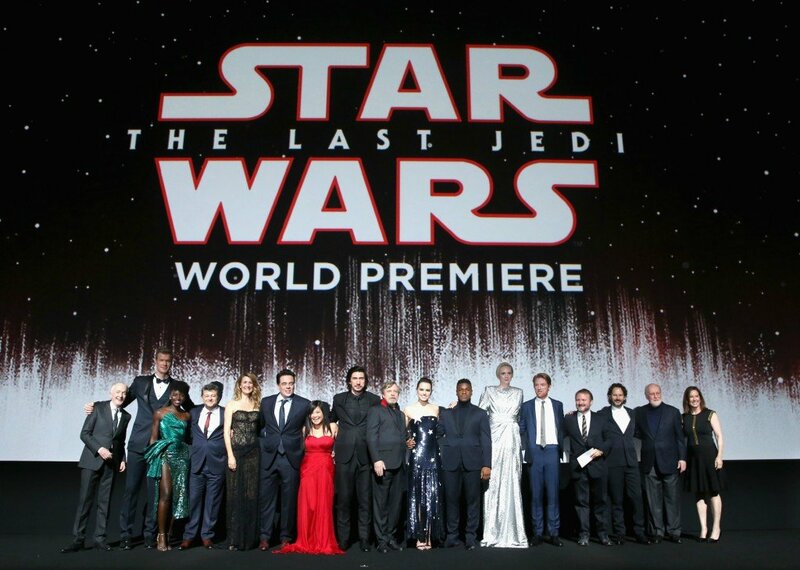 According to director Rian Johnson, “They’re these big matronly creatures, but they have these little skinny little bird feet,” Johnson said. “They’ve been there for thousands of years, and they essentially keep up the structures on the island.” I love them! The island is also where we learn a lot about Luke’s inner turmoil. Yoda visits him (supernaturally). The Jedi texts are there. I just love how much we learn about Rey and Luke on the island. The flashbacks and the connections between Rey and Kylo (Adam Driver) that happen on the island are awesome too. And when Luke finally “leaves” the island, we find out how strong he truly is. And there is so much more to this movie than the island! It just happens to be the setting that touched me the most. I loved the addition of Rose (Kelly Marie Tran). Rose and Fin (John Boyega) have such great scenes together, and I can’t wait to see what the future holds for them. Rose is so brave and selfless. I love her strength and willingness to fight for what is right. 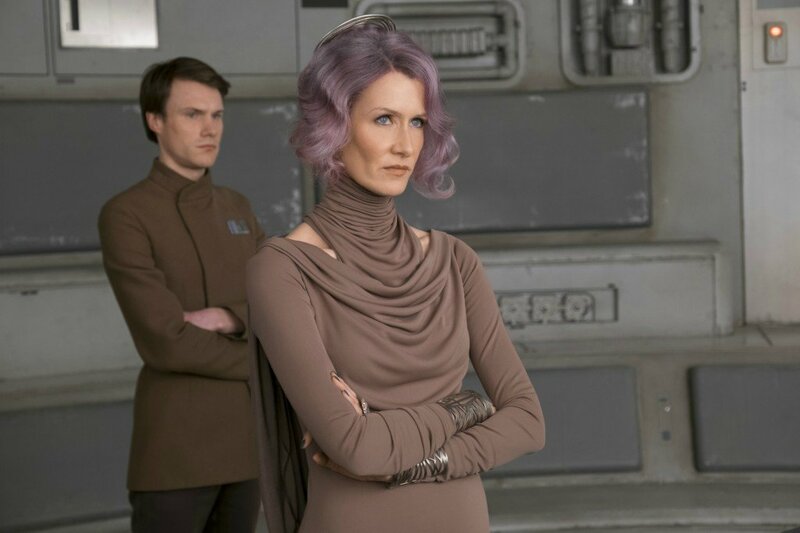 Laura Dern’s portrayal of Vice Admiral Holdo was amazing. Though you want Poe to “win” their argument, you quickly find out that she is a lot smarter than Poe could imagine. She knows what she is doing, and her willingness to sacrifice herself for the greater good is a moment you won’t soon forget. The dedication to Carrie Fisher at the end will have you in tears. Truthfully, just watching her in the movie had me tearing up several times. I miss Princess Leia. 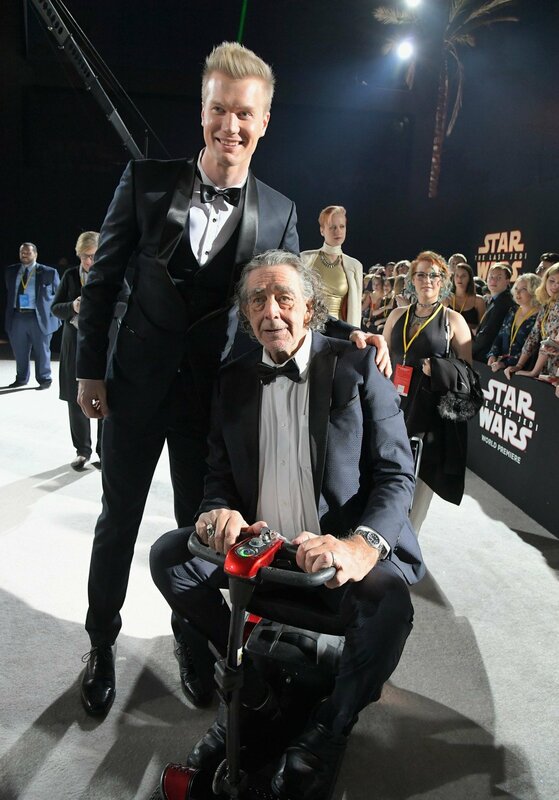 There are so many gorgeous pictures from the world premiere which took place December 10th. Here are a few of my favorites. This movie has a ton of action and it is intense! Here is a featurette showing how the actors trained for their roles. 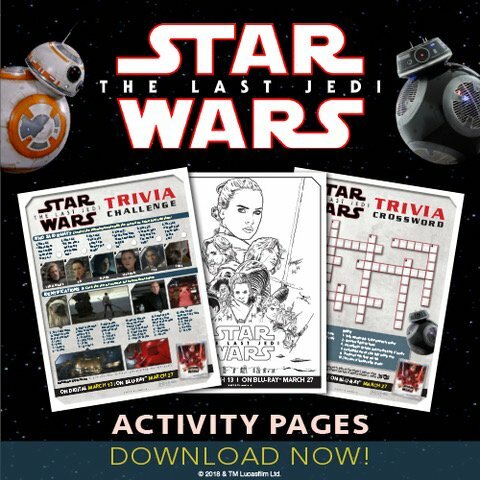 The next action-packed chapter of the Star Wars saga – Star Wars: The Last Jedi – welcomes the return of original characters as well as in-depth looks of the saga’s newest members. This release will include a feature-length documentary from Director Rian Johnson that takes fans on an intimate journey into the creation of Lucasfilm’s Star Wars: The Last Jedi. The release will also include two exclusive scenes featuring Andy Serkis as Snoke prior to his digital makeover, scene breakdowns, deleted scenes, audio commentary and more. 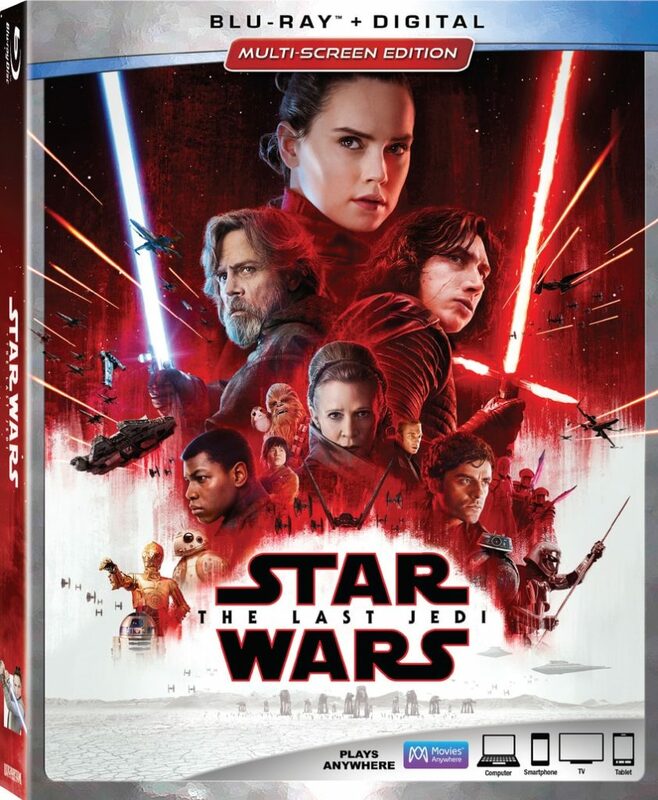 Families can bring the next chapter of Star Wars home digitally in HD and 4K Ultra HD and via Movies Anywhere March 13 and on 4K Ultra HD Blu-ray and Blu-ray disc March 27. This release will mark Disney’s first title available on 4K Ultra HD Blu-ray disc in both Dolby Vision™ HDR and Dolby Atmos® immersive audio, delivering consumers a transformative viewing experience. 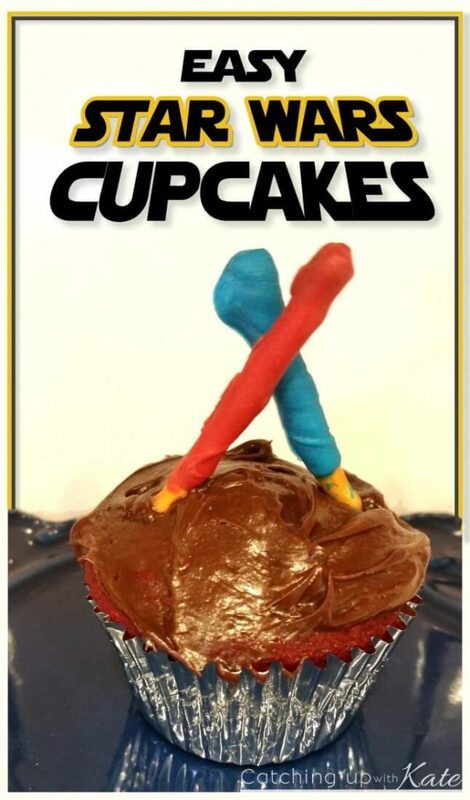 These Star Wars cupcakes come from Highlights Along the Way. 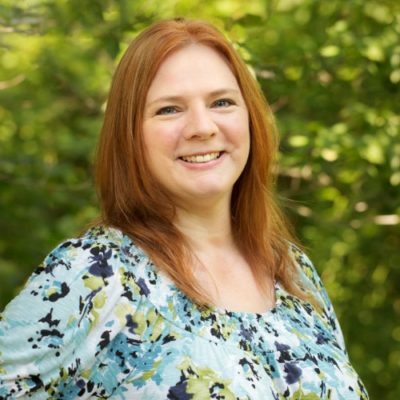 Go to her blog for the complete directions! 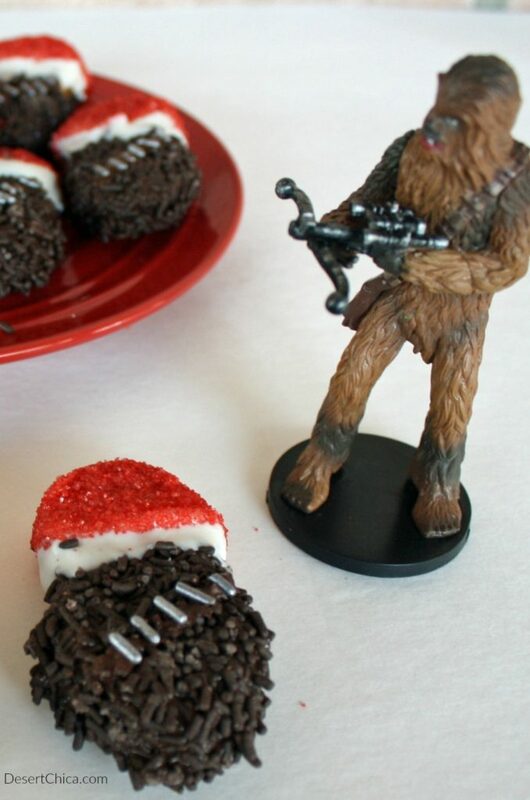 I love these Santa Chewbacca Cookies from Desert Chica. They start with Nutter Butter Cookies, so you know they’re good! Go find the directions on her blog.